We’re experts in helping Canadians buy property1 in the U.S. and we will guide you every step of the way. Think the only way to buy a home in the U.S. is to pay cash? You don’t have to depend on your Canadian equity. By borrowing and purchasing in U.S. dollars, you can buy more than you think and hold on to your equity. We’ll finance property in all 50 states. We use your Canadian credit history to help you qualify. You’ll save up to 2% on your rate and potentially thousands over the life of your mortgage. Renew it, at no cost, when the initial term expires, or move to a variable rate. You can pay down or pay off your mortgage at any time. Keep your Canadian dollar exchange to just a 20% down payment and closing costs. You can even use your Canadian home equity to cover your down payment. Because your mortgage payment is based on a 30-year term, your payments are kept low. Save with a $0 underwriting fee on new mortgage3. That's a savings of up to $825 USD (or over $1,000 CAD). Apply by June 30, 2019. We share a border, a language and a love of sports. But our home buying processes have some differences. Our cross-border mortgage advisors work exclusively with Canadian buyers and will help you through the process. You’ll need to provide quite a bit of documentation as you work through the process. Get pre-qualified before you start seriously looking for a home. It lets you know exactly what you’ll be able to afford. Already own a home in the US? Rates are still relatively low. Pay off your existing mortgage with a new loan and enjoy the equity you’ve earned. Access your equity with a low-cost, flexible line of credit and improve your U.S. cash flow while preserving your Canadian credit. 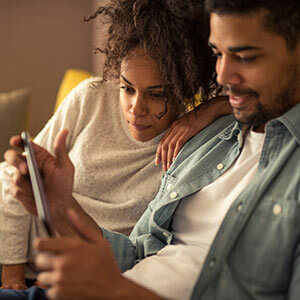 To qualify for the $0 underwriting fee, a full and complete mortgage or Home Equity Line of Credit application must be submitted by June 30, 2019. Mortgages must fund within 120 days of the application date. Offer may be withdrawn or changed at any time without notice. Offer is only available to the following clients; new RBC Bank mortgage/Home Equity Line of Credit (1st or 2nd homes), Investment Properties, and Refinance on a property that is owned free and clear. Additional bank fees and third party fees apply and are paid separately. Mortgage and HELOC offer may be combined: if a client closes on an eligible mortgage and also opens a second lien HELOC with RBC Bank, both products will have a $0 underwriting fee. That’s a savings of $924 USD (or over $1,200 CAD). May not be combined with any other special offers. Consult your financial, tax, legal, and other professional advisors prior to moving and exchanging funds from the U.S. to Canada and vice versa.